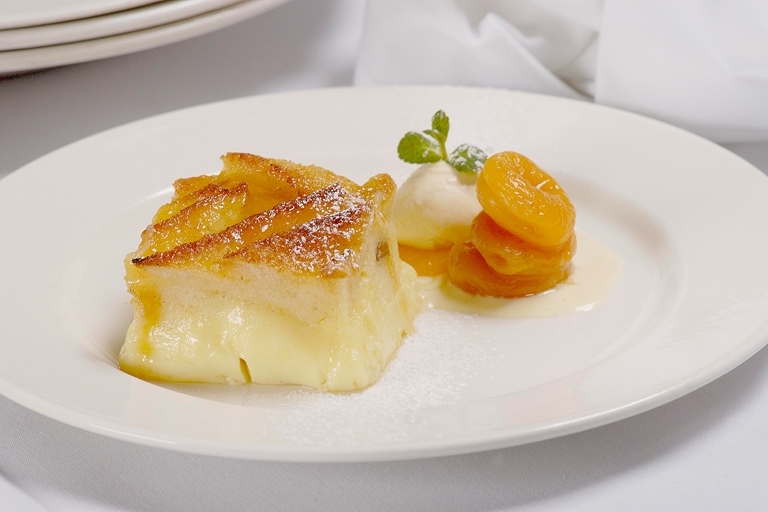 There is nothing quite like warm bread and butter pudding as a cosy, comforting dessert. This is a brilliant recipe, with easy to find ingredients if you don't already have them in your store cupboard. Paul Heathcote's cooking has always been famed for celebrating neglected dishes, and this classic is certainly worth reviving. Serve it with clotted cream, as suggested here, or a scoop of ice cream. Pour the egg mixture over the bread and place the dish in a bain-marie and put in a moderate oven (180°C/ Gas Mark 4) for about half an hour until cooked.